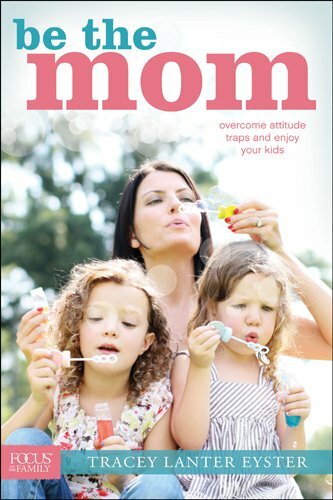 Be the Mom: Overcome Attitude Traps and Enjoy Your Kids - A Book Review | How Do You Do It? 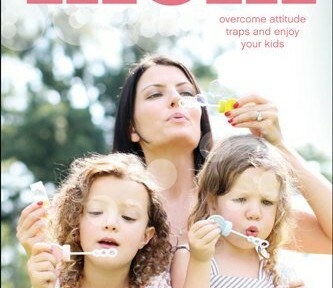 I absolutely loved the parenting book Be the Mom: Overcome Attitude Traps and Enjoy Your Kids by Tracey Lanter Eyster, creator of momlifetoday.com. The book discusses several “Mom traps” that many (I’d be willing to venture all) mothers fall into at one point or another in their mothering careers to varying degrees. As you read about the seven traps identified in her book, see which one you are currently in, or which one you have been in. The importance of gaining a true understanding of why you are more than just a mom is pivotal, because if you don’t you’ll become overwhelmed and burdened by negative self-talk, and end up sitting on a stairway crying and feeling like a total failure. When your thoughts are thumping loudly with, I’m just a mom, and I can’t even do that well, the trap has a vice-like grip on you that can lead to utter despair. I remember thinking those exact same thoughts one day and indeed bawling my eyes out in my stairwell! She spoke right to me with those words! She then goes on to describe how we can overcome such self-doubt and negative attitudes about our extremely important job as a mother with a seven-step plan among other things, like pursuing something that brings you joy as an individual. This trap is multi-faceted, but finds its core in the fact that we as human beings are selfish and prideful. This trap encompasses demanding high expectations of those around us and getting frustrated when they are not met on time or to your specifications, as well as the “I’ll just do it myself so it’s done right” mentality. Eyster again provides seven easy steps to get ourselves out of the first part of this Me-Mom trap, as well as encouragement to teach our children instead of doing everything for them. This second part definitely reminded me of a different book I read – Cleaning House – all about entitlement among the rising generation. I prefer to have my kids learn and try and try again then have a perfect linen closet and lazy kids who don’t know how to do anything for themselves. This trap is all about neglecting ourselves and our lives in the name of motherhood. When Eyster found herself in this trap she often thought “‘Woe is me. I’m sacrificing my own well-being and happiness for the good of my family. Someone pat me on the back, shake your head in admiration, and build a statue in my honor.’” She also described it as not being the wife, mom or the child of God she was supposed to be, something I have indeed felt too. This trap goes along well with the selfish “me” attitude of the previous Mom trap, but in reverse. We make ourselves miserable (perhaps instead of uptight and angry) and those around us. This trap occurs when you shut down as a mom and give up, becoming a void, sideline mom, who just doesn’t care because her life is “just so hard” and no one appreciates her. Again Eyster provides seven easy steps to help you change your attitude and perspective to get out of this misery cycle. She also shares this truth: “Did you know that you cannot wait to feel like making changes? You have to just do it, force yourself to make the changes, and then you’ll feel like it.” What a great quote that I know has been true in my life. This is one trap I haven’t really had to deal with very much at all. I think it is much more common for those with older children. The crutch of this trap is that we believe that if we are busy enough, if our children are involved enough, then we’ll be a good mom and our kids will be well-rounded and cultured. This is true even when we are always doing “good things” like volunteering at schools, churches, or other local events or charities. I think you can guess what this trap is all about – judging, comparing, and measuring ourselves to other moms, women, wives, lifestyles, and oh so much more, coveting what we don’t currently have, becoming jealous and envious. This is the great trap of the devil to get us distracted from what we do already have (aka counting our blessings and being grateful) as well as doubting our self-worth as we start to base our lives on the standards of the world instead of what God thinks about us. Comparison is the thief of joy! She encourages all us women to stop this comparison game and instead support one another and say positive things about yourself and each other. She insists that we remember what God really thinks about us and to not belittle others when they admit their imperfections or different lifestyle or choices. She also recommends getting a mentor. This is a new concept for me for sure and I’m not sure of the true benefits of it. This mentor is supposed to be an older, wiser mother, perhaps even your own mother or sister or aunt, but maybe even a more experienced friend. Has anyone besides me joined the “they say” voices by doing a lot of complaining about the hard work involved in being a mom? Seeing motherhood as being trapped in the house with the kids? Maybe you’re attempting to keep up with the Joneses, maybe you want to have more excitement or just do something different, anything just to get out of the house. Here’s the thing to remember, Mom: It’s not just a house; it’s your home. I really enjoyed this book on so many levels. It is very uplifting and empowering, because, sometimes the hardest thing is realizing you have a problem! I loved how practical, moral, real, and easy to read it was. I hope you read “Be the Mom”! It’s one of my very favorite parenting books! Which of the Seven “Mom Traps” have you found yourself in at one time or another? 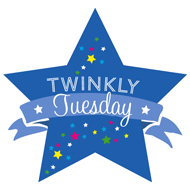 ldskatelyn is a stay-at-home mom of nearly four-year old fraternal g/g twins, and a nearly one year old boy. She loves reading books and especially parenting books, even if some end up being duds. Katelyn loves her simple life and strives to better herself as a person, as a wife, and as a mother constantly. She writes about it all on her personal blog What’s up Fagans?.